Filled with rich history, driving passion, and deep appreciation for the bounties of nature, Sonoma County embodies the meaning of beauty with brains. Simply stated, she is a living dream. From over 400 wineries, to 60 miles of pristine coastline and ancient redwood forests, Sonoma County is the ideal destination for any traveler looking to experience the wonders this earth has to offer. Its range of landforms, including valleys, plains, mountains, forests, rivers, and ocean cliffs, creates a geographical makeup that is hard to define. These features, in endless combination with the soil, elevation, sun, and microclimates, make for unbelievably diverse terroirs, or natural environments, in which more than 60 varieties of wine grapes thrive. As such, the 18 winegrowing regions found here possess their own unique taste, characteristic of the surrounding terroir. Expect different flavors as you make your way through Sonoma County but count on the same sustainable and reliable practices that put this world-class destination on the map. To start things off right, spend the morning sipping sparkling wines at Gloria Ferrer Caves & Vineyards. Known as the Pinot Noir pioneers, the Ferrer family came from Barcelona in the 1980s to become the first sparkling wine house in the Carneros region. On a private tour of the property, learn all about the Ferrer family history and how they turned vision into reality. Reward your newly-found Pinot Noir knowledge with a seat on the vista terrace and take in the breathtaking vineyard views as you continue your tasting of these delicately crafted sparkling wines, including the award-winning Carneros Cuvée. To complete this stop, head across the street for lunch at Cornerstone Sonoma. 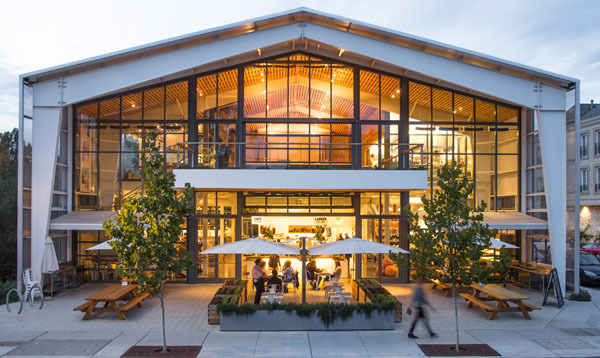 This wine country marketplace features a collection of shops, tasting rooms, artisanal foods and gardens that will whisk you away on a midday stroll that appeals to all your senses. For an experience unlike any other, an afternoon at the indescribable Buena Vista Winery will transport you back in time. Founded in 1857, Buena Vista is California’s first premium winery and rightfully serves as a California Historic Landmark. This legendary tale begins in the 1840s when the self-proclaimed Count of Buena Vista, Agoston Haraszthy, emigrated from Europe to chase dreams of riches alongside thousands of gold hungry forty-niners. He soon found his “purple gold” in Sonoma where he began his viticultural journey and went on to excavate Sonoma’s first wine caves. Today, at Buena Vista’s captivating Press House, the Count’s wine-loving legacy lives on under the direction of Jean-Charles Boisset for all to behold. 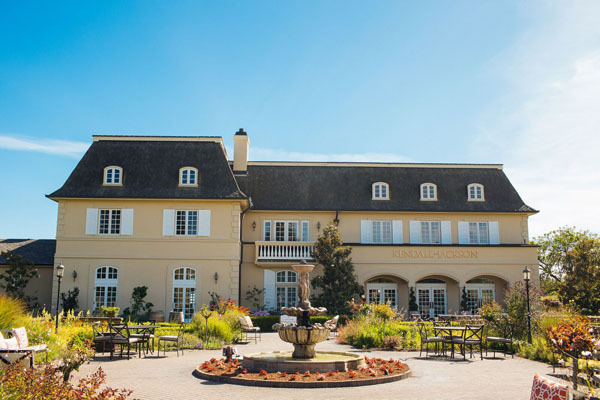 After a day filled with wine education and legends of the past, relax your mind and body at the luxurious Fairmont Sonoma Mission Inn & Spa. 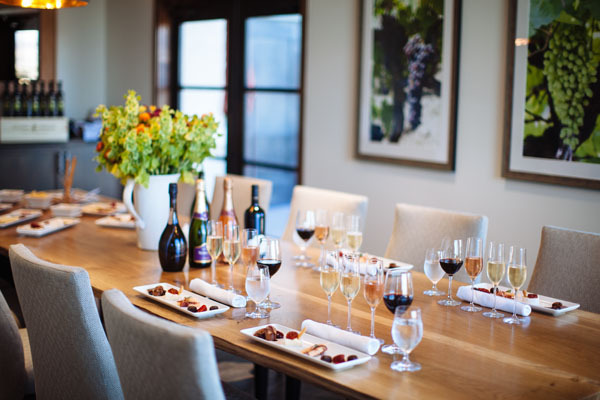 Arrive in time for the lobby wine tasting offered daily to guests, and trade stories of your favorite Sonoma excursions, or opt for the privacy of your own welcome glass of sparkling wine. And because one glass is never enough, make your way across the well-manicured grounds of this Spanish mission-style resort and up to your suite where you will find a complimentary bottle. Pop it open and escape your worries with your choice of backdrop on your vine-covered balcony, beside your in-room fireplace, or in your oversized jacuzzi. Once you’re recharged, prepare for the meal of a lifetime at the Fairmont’s fine-dining restaurant, Santé. 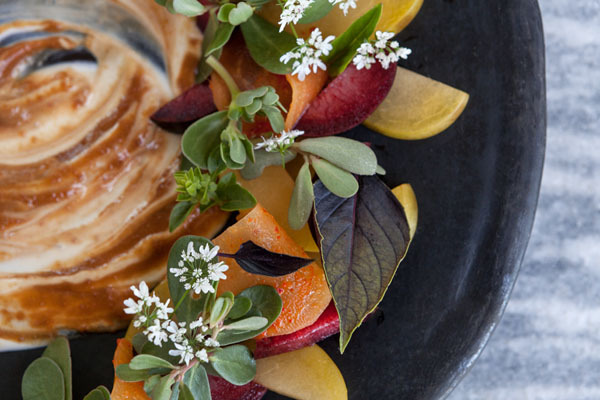 Recipient of the AAA Four Diamond Award and Michelin designations, Santé’s seven-course Chef’s Tasting Menu with optional wine pairing will leave you utterly blown away by its precision, refinement, and premier ingredients. The next morning, set out to the heart of Pinot Noir and Chardonnay production in the highly esteemed Russian River Valley. An elevation tasting at the Gary Farrell Winery provides an excellent opportunity to sample their boutique wine selection while enjoying artisan cheese pairings. With unobstructed views of the valley below, the salon and terrace set the stage for a remarkable wine tasting experience. A short drive down the road will take you to the iconic Thomas George Estates. 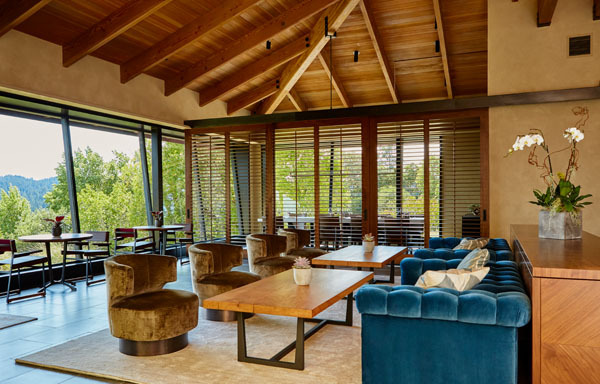 From a 1920s hop kiln to a modern, state-of-the-art wine making facility, TGE is complete with wine tasting rooms, guest houses, and an 8,000-square-foot cave available for reserve tastings. Plan an unforgettable day amidst the vines on an exclusive wine safari. On a quiet hillside of Baker Ridge Vineyard, you will find a gourmet picnic waiting for you and your loved one. Left alone to enjoy a three-course meal accompanied by your choice of Pinot Noir and Chardonnay, you will find it easy to get lost in the beauty of this wine lover’s paradise. To complete this perfect day, make yourself at home at one of the charming guest houses. Boasting a full-kitchen stocked with farm fresh eggs, cheese, and milk, fireplaces throughout, a pool, and a private hot tub, it is understandable if you never want to leave. 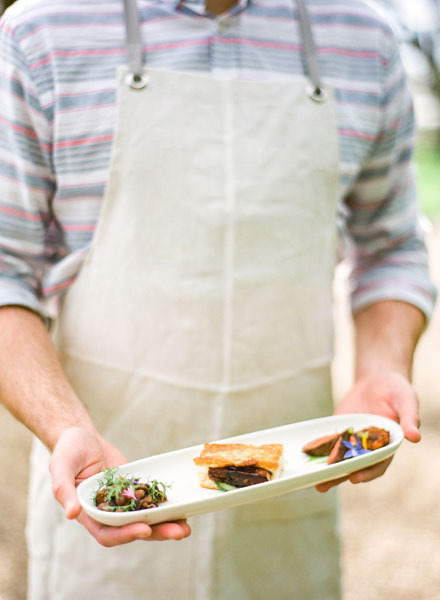 When you’re ready to take a break from preparing your own breakfast, venture on down to the Healdsburg SHED to indulge in their sustainably grown and locally farmed menu that sends a feel good vibe down to your bones. From sweet baked lemon ricotta pancakes to savory housemade buttermilk biscuits with sausage gravy and Anson Mills stone ground polenta, which I can assure you taste nothing like your grandma’s, the SHED will leave you blissfully satisfied. Now that you’ve had breakfast, it is inevitably time for wine, and a stop at Rodney Strong Vineyards will do just the trick. Rod Strong, dancer turned winemaker, opened his doors over 55 years ago. Since then, the winery has celebrated great success including the prestigious recognition of best-in-class Sonoma County varietals. 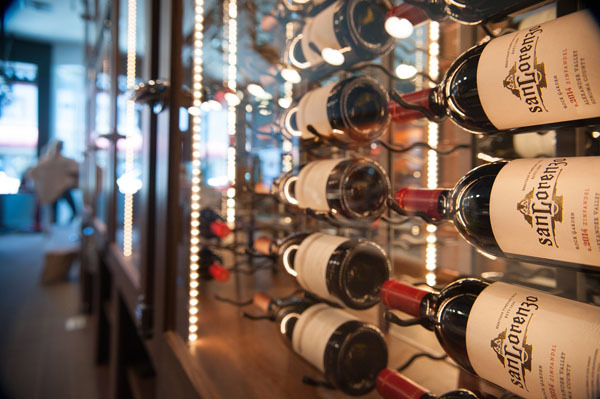 The wine-to-table experience on the terrace highlights five of these award-winning wines paired with seasonally inspired bites skillfully crafted by winery chef, Alejandro Garcia. In their commitment to sustainability, Rodney Strong utilizes ever-evolving practices to preserve the earth and to protect the delicate ecosystem that exists in this dynamic region. Fellow leaders in sustainability, the Kendall-Jackson Vineyard Estate features four acres of gardens with seven distinct spaces designed for education, beauty, and culinary experimentation. 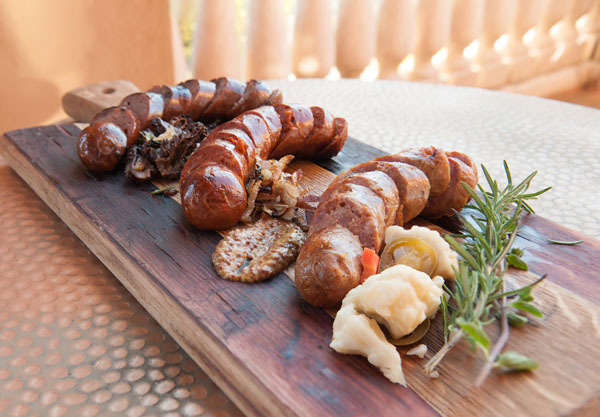 With creative inspiration drawn directly from the specialty herbs and produce grown right on site, KJ’s culinary team has developed a five-course food and wine pairing that focuses on a selection of small-production, limited-release wines. Offering a range of vine varieties from Sauvignon Blanc to Merlot, KJ is sure to have the wine that speaks to you. To end the day, head back into Healdsburg for a visit to Journeyman Meat Company, an old-world salumeria, butchery, and wine tasting shop. Using locally grown herbs and vegetables, owner Pete Seghesio pays homage to his roots by masterfully curing, smoking, and spicing meats based on family traditions and techniques picked up from world-famous Italian butchers. A board of handcrafted salumi, wood-fired pizza, and a glass of wine from the family’s vineyard will have you missing home in no time. Before you go, walk through the floor of the redwood forest, breathe in the air along the coast, gaze up at the star-filled sky, and give thanks for Earth’s endless gifts to Sonoma County.